Did the costume reflect the period of the play? 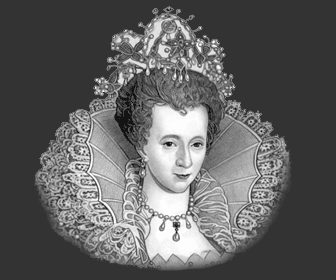 The Elizabethan Era was a period in English history dominated by the Class structure. People who lived in the Elizabethan era were not allowed to wear whatever they liked. It did not matter how wealthy they were - the fabric, and even the of their clothes were dictated by their rank, status or position and these strict rules were enforced by English Law. These laws about clothing in the Elizabethan era were called Sumptuary Laws. They were designed to limit the expenditure of people on clothes - and of course to maintain the social structure of the Elizabethan Class system. So it was illegal to wear various items of clothing - disastrous for clothing actors in appropriate costumes. The English Sumptuary Laws were strictly obeyed. The penalties for violating Sumptuary Laws could be harsh - fines, the loss of property, title and even life. Elizabethan men only wore clothes that they were allowed to wear - by Law. But like the Laws of today there was a 'get out' clause. The nobility wanted to maintain the elite class system but they also wanted to enjoy the new form of entertainment that the Theatre had to offer!
" Note also that the meaning of this order is not to prohibit a servant from wearing any cognizance of his master, or henchmen, heralds, pursuivants at arms; runners at jousts, tourneys, or such martial feats, and such as wear apparel given them by the Queen, and such as shall have license from the Queen for the same." The above clause applied to actors ( and their costumes ). Acting Troupes had to be licensed. Licenses were granted by the Queen to the aristocracy for the maintenance of troupes of players - such troupes included the Earl of Leicester's Men, Lord Strange's Men, Chamberlain's Men and the Admiral's Men. Did Theatrical Costumes reflect the correct period of the Play? Whatever play, and whichever era the play was set, in the actors generally wore the dress of their own time. The theatre was new - the plays were new. The plays had to be produced in a hurry in order to ensure a rapid turnover of new material for the insatiable Elizabethan audience and to beat the competition from rival theatres. Not enough time had elapsed to build up a ready made store of costumes which reflected the correct period of the play. Perhaps the costumes in a play, such as Julius Caesar, would have been easier to develop as togas are relatively easy to produce. In this instance a combination of Roman clothes and Elizabethan clothing might well have been seen together. The picture at the top of the page depicts a Scene from King Henry IV (Part 2) by William Shakespeare. The play is set in the early 1400's. King Henry IV lived 1399-1413 but this is the type of costume that would have been worn by the Shakespearean actors - the Elizabethan dress of the day. Elizabethan clothing of the Upper Class was sumptuous. The materials were luxurious and covered a whole variety of colors. Due to the Statutes of Apparel (The Sumptuary Laws ) ordinary Elizabethans were not able to wear the latest fashions. Fashionable clothes would only be seen at a distance, when wealthy nobles or Royalty were in view. Costumes in the Elizabethan Theatre would therefore double as a fashion show. During the Elizabethan era only men were allowed to act in the theatre until 1660 - it was judged to be unseemly for a woman to undertake such a role. Young boys were therefore hired to act in the female roles. Elizabethan Women's clothing was extremely elaborate and was constructed with many layers of clothing. It would have taken some considerable time, and the help of a dresser, to dress in the costume of a female. Wigs, or periwigs as they were called, were readily available as they were in fashion at the time so this was not a costume problem. However, the make up used by Elizabethan women was. It was lead based and highly poisonous. The young boy actors were therefore very unhealthy, had unpleasant facial skin diseases and a high proportion actually died of poisoning. Details, facts and information about the Elizabethan Costume in the Elizabethan Theatre can be accessed via the Elizabethan Era Sitemap.